Price: Medium (for the quality and quite generous portions this a very good deal in central Madrid). 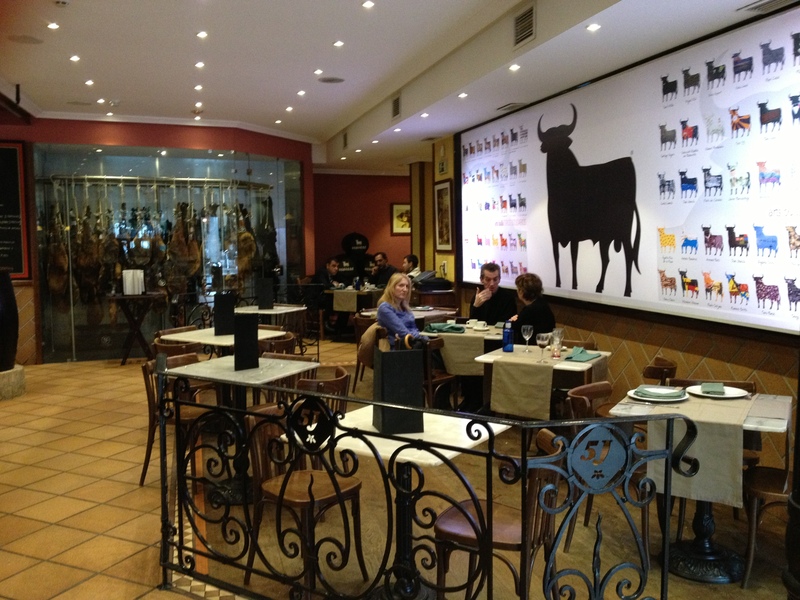 Mesón Cinco Jotas is a success story of a chain of restaurants doing a great job! With branches in Madrid, Barcelona, Seville and even in the Portuguese capital Lisbon it can easily lose track of quality, but this is not the case of the Mesón Cinco Jotas in Madrid as the restaurant/tapas bar is serving excellent and innovative tapas in a modern environment in the middle of the historic part of town. Atmosphere: Modern, fresh and casual. Sitting between a heard of colourful bulls on one side and real life-size hanging hams on the other you know that you are not dining at a vegetarian restaurant. 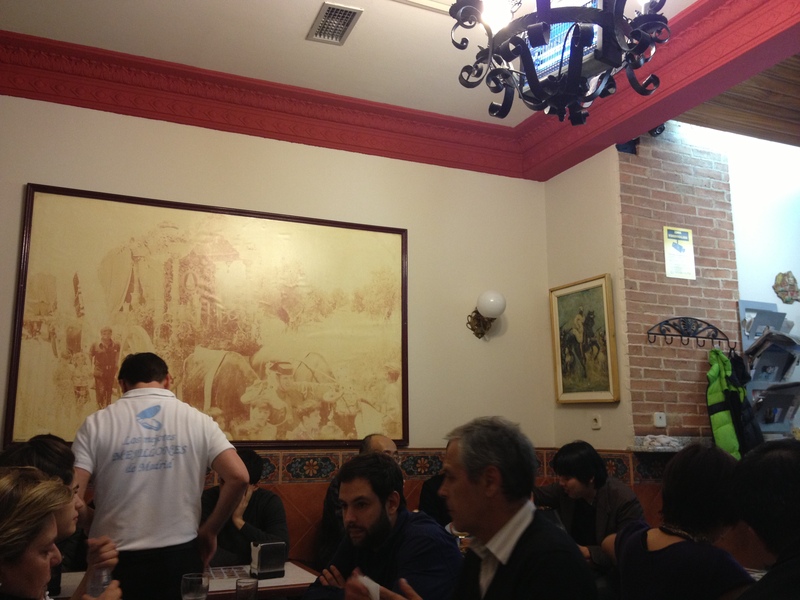 Meat is omnipresent in most of Spanish tapas places and Mesón Cinco Jotas is not an exemption. Central location attracts many tourists, but locals blend in quite high proportion so I cannot classify it as a tourist hangout. Its casual interior suggests that dress code is not a topic to be worried about, therefore wear anything you find yourself in while browsing the labyrinth of the old town. Food: An innovative take on typical Spanish tapas. 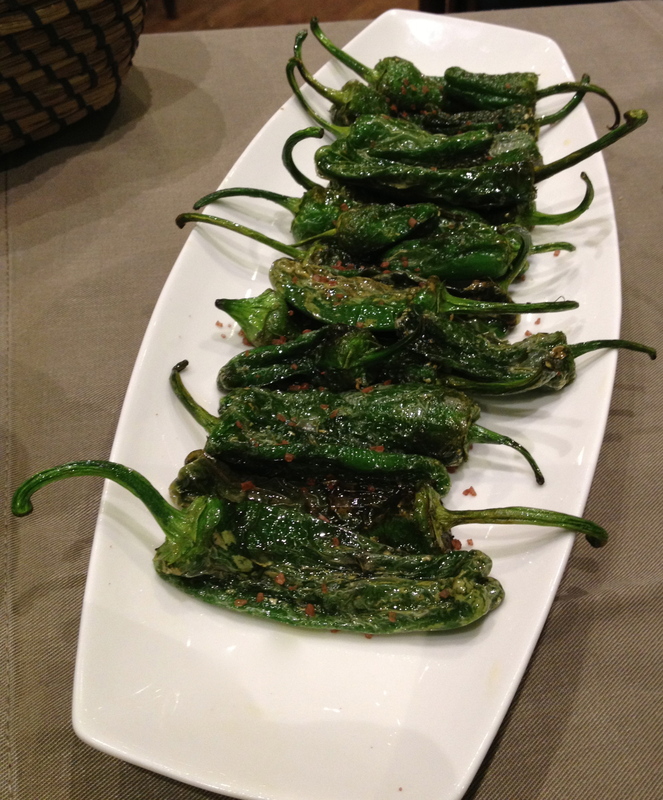 The plates are rarely simple, with the exemption of fried green peppers with crumbly smoked salt, which are a staple vegetable tapa in Spain. They make them superb here – not too oily, large in size, with more depth thanks to use of the smoked salt instead of the usual white salt. Tortilla (a thick egg omelette) with fresh bread is served before your order comes and it is hard not to eat it all as both are very good. Of course you can also have a slice of Jamon Ibérico, the hard and intense Manchego cheese and other Spanish meats and cheeses, but it is the careful experimentation with traditional dishes that they do so well here, so you must try at least one of their ‘old made new’ plates as well. Salmonejo is an Andalusian style of cold soup made from tomatoes, bread, vinegar, garlic and oil. 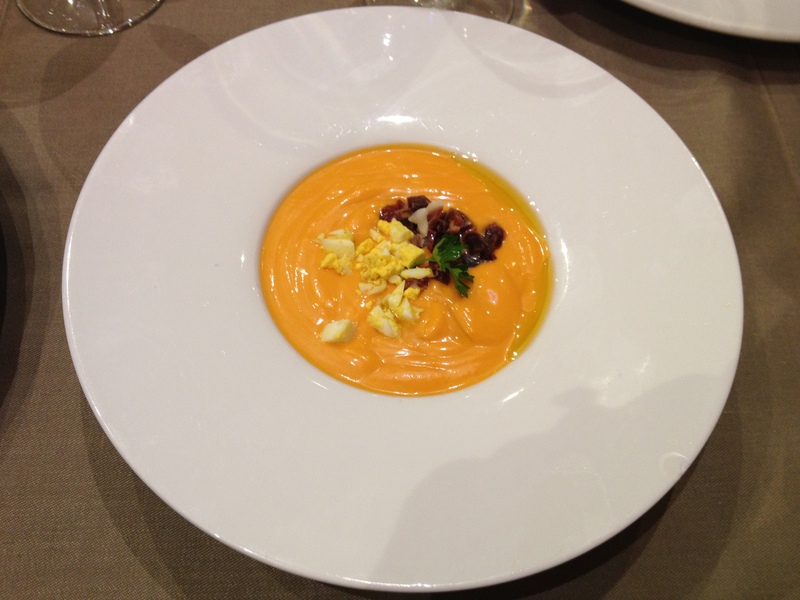 It is different from gazpacho since it is more thick and creamy, because of the bread. Dried Spanish Serrano ham and diced hard-boiled eggs are added as a garnish. They must have used high quality tomatoes in this soup as it tasted so smooth and elegant that if too ripe or unripe tomatoes were blended in you would recognise it on the palate. It is very filling as well, therefore ordering a lighter second and third course is a smart choice. I went through a different way though – the stones-in-your-belly feeling after your lunch requiring a long siesta dining style. 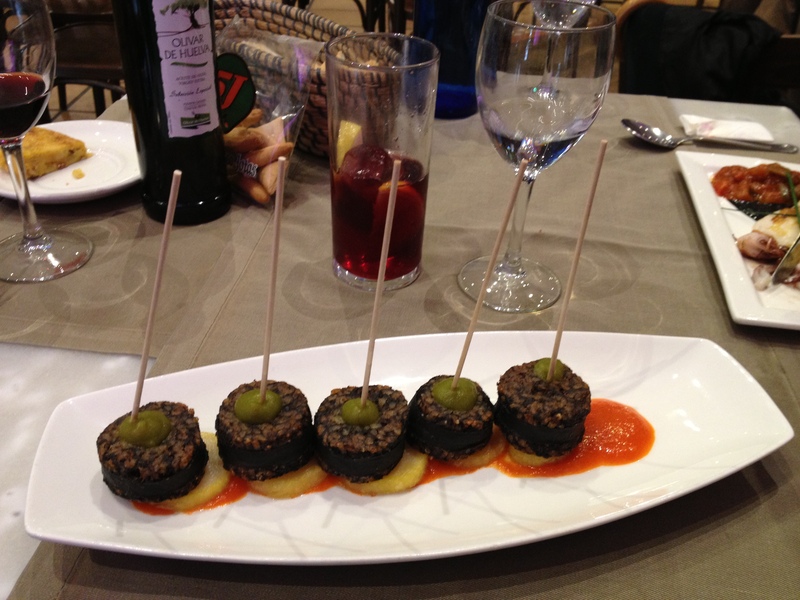 I could not resist trying Morcilla, the Spanish take on a slightly spicy blood sausage. A great risk paid off. The Morcilla served on a red pepper puree, full moon-shaped potatoes and topped with a green olive cream dollop was superb! One of the best I have ever had. The ingredients freshened it up and calmed the racy flavours of the blood sausage so each bite fashioned almost a yin-yang taste of harmony. My friend got Grilled squids and she was also impressed by her choice. Gently grilled, not burned or undercooked, sharing a plate with a vegetable ratatouille and the squids’ own black ink sauce, the dish looked not only gastronomically seductive, but it also tasted very good as my friend confirmed. Drinks: Wines by the glass or “una copa de sangria” (a glass of sangria) are an option for light drinkers. I had a glass of red wine that I did not like much so I ordered a glass of sangria that was lighter in alcohol than I am used to and therefore ideal for lunch. 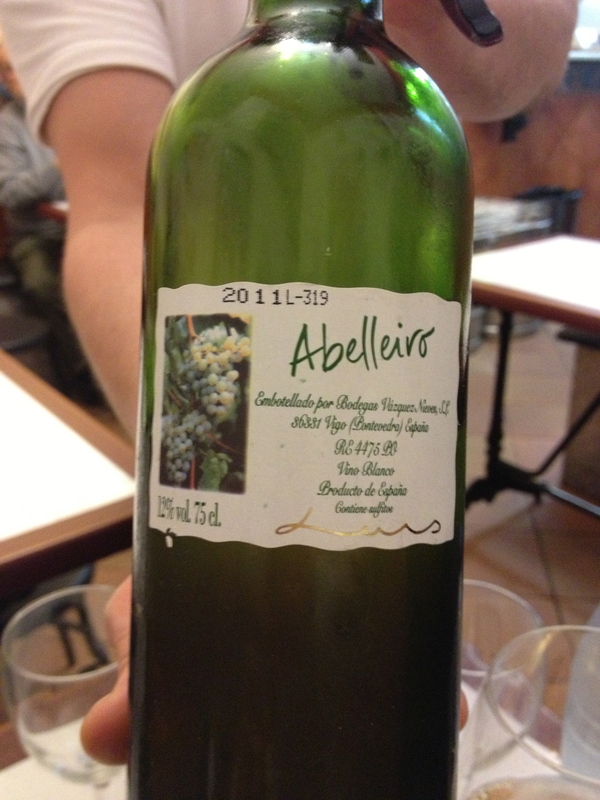 They have Spanish wine list that is not super extensive but covers many regions of Spain with at least one example. Price: Medium to low (great value for money for the quality you get). Atmosphere: Casual, buzzing, local. El Rocio is a local secret, although it might attract some tourists that got a great tip from their Spanish friends to eat there. Overall though it is very local and unpretentious. 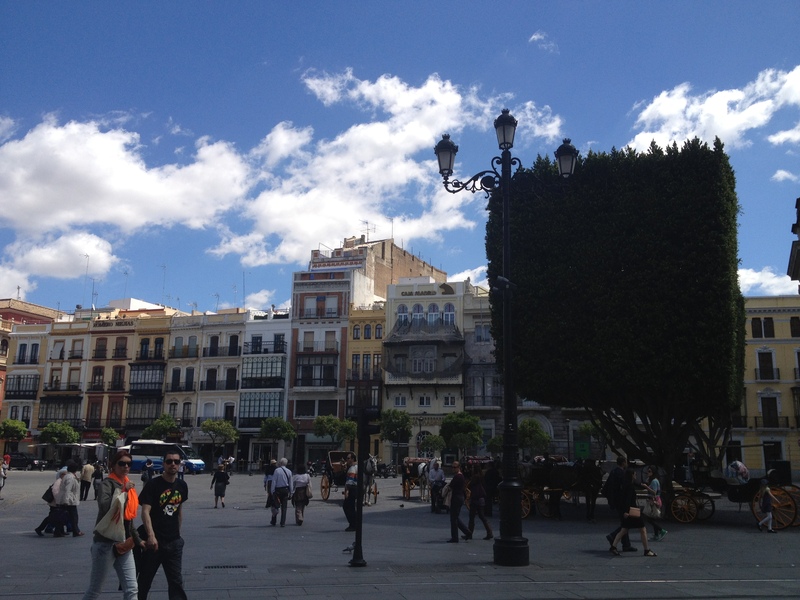 Its location in the central barrio Salamanca in Madrid is convenient as you can pop in between browsing the Madrid’s sights or just before or after going to a cinema. The staff os super friendly, effective and speaks some English so no worries about getting something else then you ordered. Food: Casual, honest and excellent quality of the ingredients. 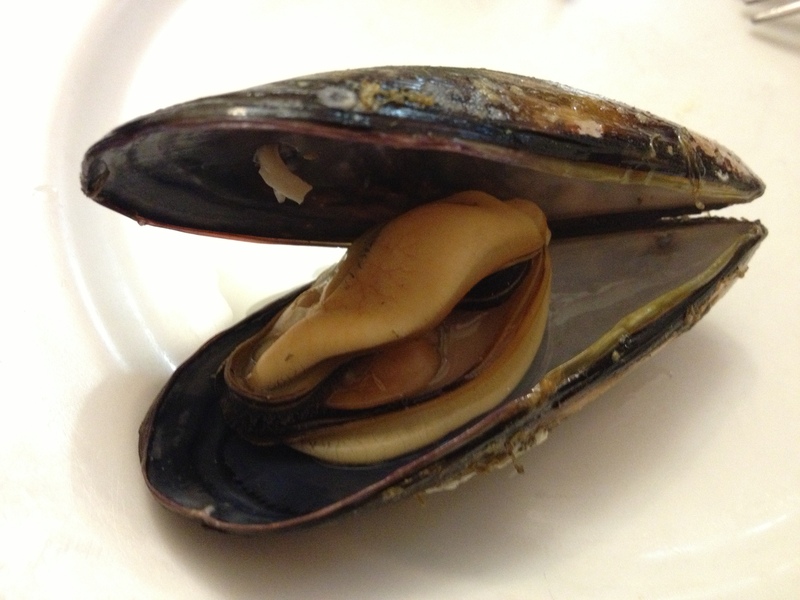 Many lucky seafood eaters who know, come to El Rocio regularly and order just the mussels (in Spanish: mejillones). Once you see them, you will understand why. Yet, it is not only their size that impresses many of the constantly returning seafood lovers, these mussels also taste wonderfully! Juicy, sumptuous, delicate with a mineral salty touch from the sea … a glass of a refreshingly aromatic white Albariño (wine from Norther Spain) … a group of nice friends – equals a heavenly time out perhaps not just for me. Usually they are served in a spicy broth, but you can ask for a non-spicy version as well if you are not a fan of too hot food. After eating a pot or two of such marvellous mussels, you might feel like switching to something simple and different. 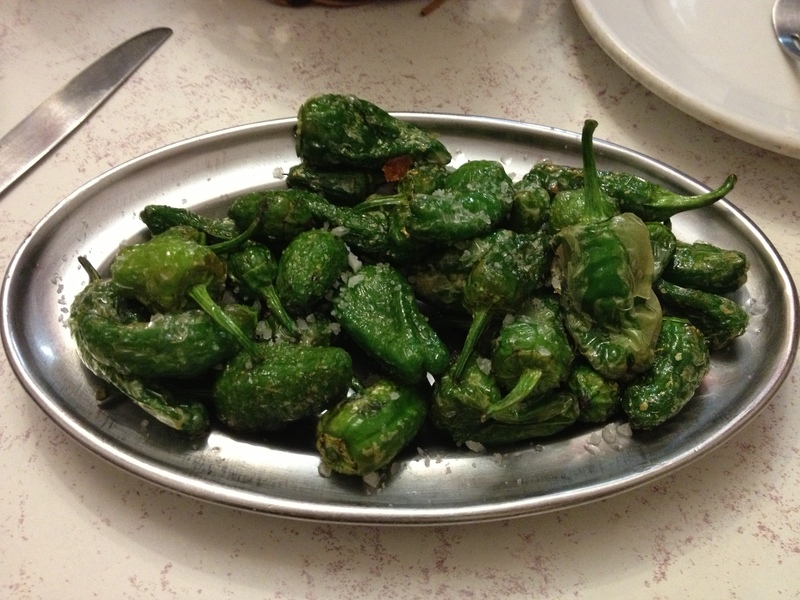 A plate of fried Spanish green peppers with flakes of crunchy salt goes well not only with a pint of beer, so popular in Spain, but almost any white wine such as the Albariño. The later does a great job balancing the oily texture of the fried veggies. Other tapas such as fried onions, squids and other seafood are optional, but make sure you do not miss out trying possibly the biggest mussels ever in this casual setting right in the centre of Madrid. It is an ideal spot to get a quick bite before going to the cinema, night club or at any time you feel like having a plate of honest seafood. Drinks: From sangria, beer to great value for price/quality wine you can drink anything that will not ruin your wallet while enjoying the taste. 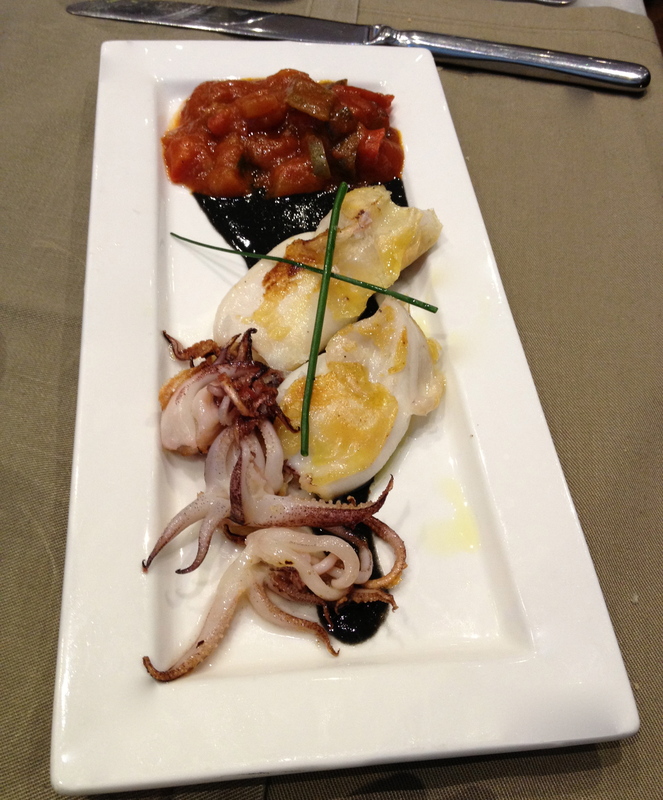 The drinks mostly suite well to the tapas style seafood served at El Rocio. 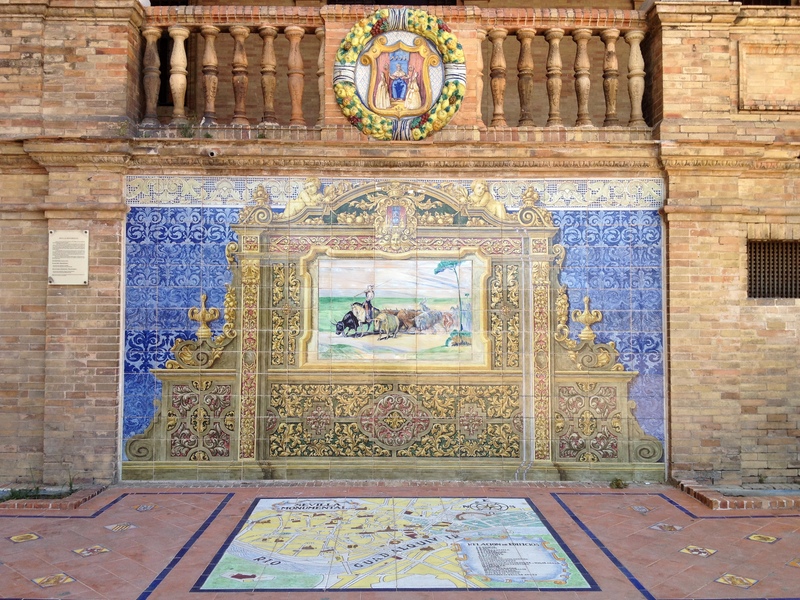 Seville is known as the city of tapas, where its citizens always eat. No wonder that this Southern Spanish destination thrives – its history, blend of cultures and prevalent sunny weather, attract millions of tourist each year. Yet, it is the vibrant tapas bar scene, that most of them end up resting at after touring the magnificent sights of Seville. And, there is so much to choose from! The tapas bars are sprinkled all over the town offering a very diverse fare – from the more traditional to gourmet gastronomic fusion. With so many styles, ambiences and price points, it is useful to look for advice from someone who has visited many of them. 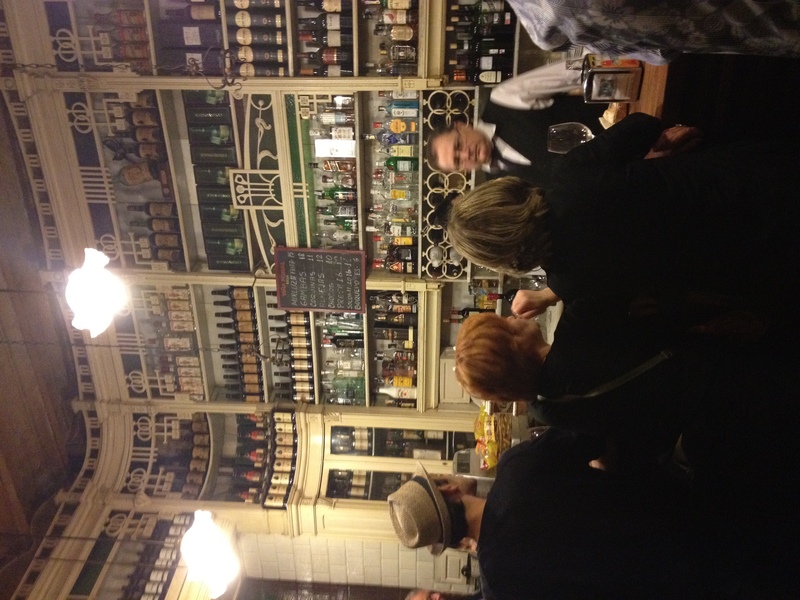 I have decided to divide my Guide to Seville’s Tapas Bars into three parts. First are Traditional Tapas Bars. Second are Young and Cool Tapas Bars. The last group are Modern and Gastronomic Tapas Bars. I hope you will find my guides helpful and you will leave Seville as excited about its creative and inspiring food as I was!